There are sixteen National Trails in the UK. A National Trail is a long-distance footpath administered by Natural England in England (UK Government) and Natural Resources Wales in Wales (Welsh government). Equivalent trails in Scotland, called Long Distance Routes, are administered by Scottish Natural Heritage. 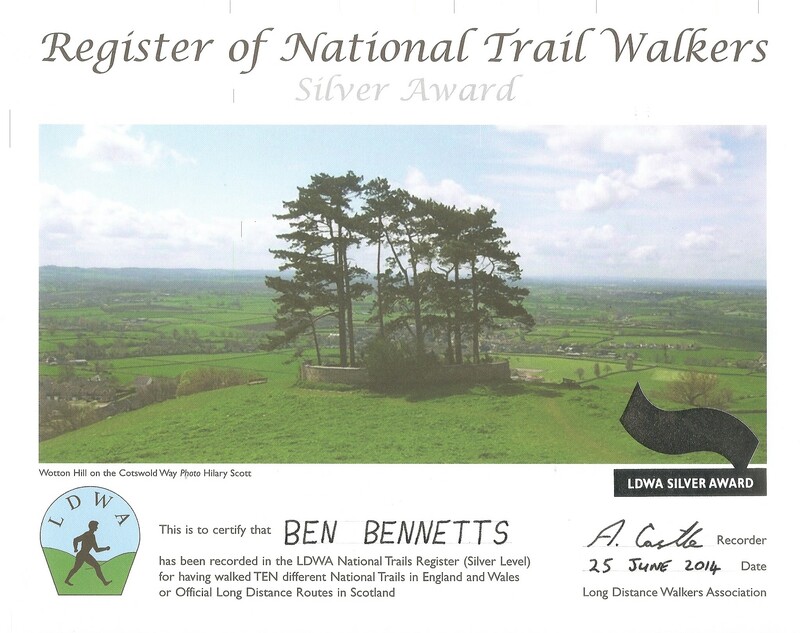 Since retiring in 2007, I have completed ten of the sixteen UK National Trails thus qualifying for the Long Distance Walker’s Association Silver Award Certificate. Carol has walked six UK National Trails and so qualifies for the LDWA Bronze Certificate but, so far, has not applied! Here are the summaries of the walks.